Premier Roof Care is a small but well established roofing company who have been carrying out many new roofs and repairs in the Sutton and surrounding areas for over 20 years. During this period we have gained a reputation for both competence and professionalism. Premier Roof Care will cover an area up to a 30 mile radius from Sutton, Surrey. 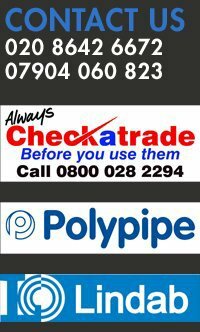 For your peace of mind we are members of 'Checkatrade' who employ strict vetting procedures that ensure that only companies of high repute become members, the fringe element is totally excluded. Your home is a valuable commodity to which the roof is your primary protection against the elements. 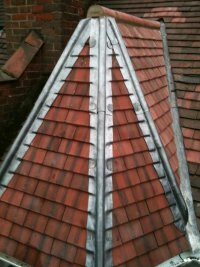 Having the best protection fitted by a competent roofing company is essential. 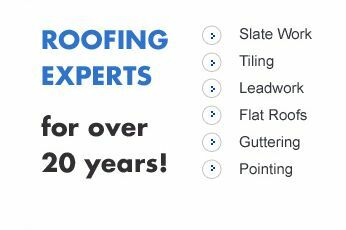 We provide free estimates and can advise you on many aspects of roofing, be it from the answer to your leak problems or the best tile suited to your roof. The colour can be a vital aspect with regards to "not standing out like a sore thumb" amongst your neighbours, unless you specifically want to of course. Your new roof covering may well be heavier than the original and therefore it is essential to strengthen the timbers to which it is laid to prevent sagging and spreading. we can advise you on this and carry out any necessary strengthening. Much of our clientele comes via word of mouth from previous satisfied customers, but don't just take our word for it, visit our site at 'Checkatrade' , member ID no. 84171, and browse through the many testimonials that our customers have left. A majority of our work carried out has been for domestic dwellings although we are able to cater for small commercial projects. We have also established a close working relationship with many local reputable builders. We take pride in our work and strive to provide a service that exceeds your expectation. Call Premier Roof Care on 0208 642 6672 for a free no obligation quote. Alternatively fill in the form on our contact page and we will get back to you at the most convenient time for you.